This birth was quite special. It was the last birth I documented in 2016. It was the 30th birth that I had documented. And it was the first time I was documenting the birth of twins! Identical twin girls! TWO tiny little squishy babies for me to photograph. It was really adorable and so miraculous! 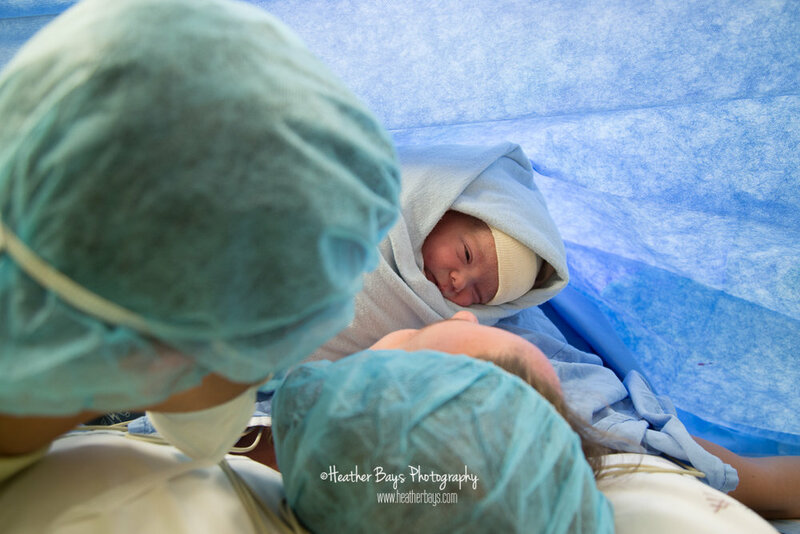 As always, here's a handful of my favourite images from the big day, and at the bottom of the post you can watch the full 6 minute birth story, which of course is a tearjerker! Thank you for watching! Please continue on to older posts, or visit the blog archives. Sometimes birth doesn't go as planned, like this mama's natural birth. Everything was perfect and normal through her pregnancy until the end when she learned that baby was not in the ideal position. Baby was bum down head up and legs by his head. But, hope wasn't lost, there was chiropractics, and acupuncture and of course there was still a chance he'd turn on his own and if he didn't they could do an ECV. Well, meet Attis. He was born at 36 weeks via c-section in frank breech position before being wheeled off to the NICU where he would he stayed for a few days. Luckily his mama got to go in to labour on her own which helps the body postpartum. Having the natural hormones in her body will help with milk production along with giving her a better chance of avoiding PPD which is more common in cesarean sections, especially when mom and baby are separated right away. She also had her placenta encapsulated which is another way to help your body postpartum. So when a natural birth was no longer an option for her, she took control of the situation by listening to her body and focusing on the things she did have control over instead of the things she didn't. And now after 3 weeks, Attis is doing very well and so is she! As of a couple days ago, he is exclusively breastfed! Perfect timing for his first growth spurt! All that pumping and determination paid off! Go mama! !